According to the National Restaurant Association, fourteen million Americans eat out at restaurants for Thanksgiving every year. If you plan on visiting Las Vegas this Thanksgiving, consider dining-out to truly enjoy your Thanksgiving meal. At Off The Strip, we’re excited to offer a scrumptious and customizable Thanksgiving menu to meet the individual needs of you and your family. Instead of worrying about cooking the turkey and cleaning the house for relatives, join us at our renowned Las Vegas restaurant! While you may feel skeptical about breaking the ‘usual’ Thanksgiving tradition, eating-out for your Thanksgiving dinner could be something everyone is thankful for. 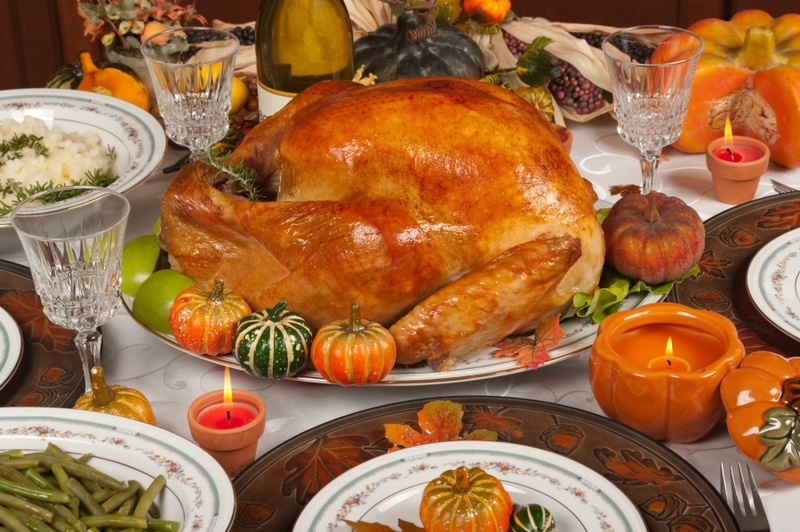 Hosting thanksgiving at your home can be extremely stressful. Aside from the fact that it’s up to you to cook the turkey, you also have to worry about getting your home ready for guests. If you decide to dine out this Thanksgiving, you won’t have to spend your time and energy cleaning up before guests arrive and cleaning up after they leave. At Off The Strip, we want our restaurant customers to leave the cleaning to us, so you can focus on what’s really important this holiday season — your family. Preparing a Thanksgiving meal can be extremely tedious, especially if you have children who are picky eaters. When you dine-out for Thanksgiving at Off The Strip, your children and relatives have the option of choosing their own menu items to create a totally customized meal that everyone will love. We’ll let you choose from our pre-determined Thanksgiving menu of popular holiday starters, entrees, sides and dessert to create the perfect meal for you. Are you tired of Thanksgiving meals that require your family to sit in front of the television all day? While watching parades and football games are a fun November tradition, getting everyone out of the house to spend some quality time together can be even better. When you bring your family to Off The Strip for Thanksgiving, you won’t have to worry about the many distractions available to your children at home. Instead of focusing on video games, your children will be busy enjoying our herb roasted turkey with apple cider gravy or our warm apple cobbler with vanilla bean ice cream. If you’ve ever hosted Thanksgiving in the past, chances are you had to wake up extra early to get a head-start on cooking and cleaning. From preparing the menu to decorating your home, there’s little to no time to sneak in an ounce of beauty sleep. When you join us at Off The Strip in Las Vegas for your Thanksgiving meal, you won’t have to worry about waking up at the crack of dawn to stuff the turkey — our chefs are already doing that! All you’ll have to do is show up to our restaurant at your reservation time and we’ll handle the rest for you. Contact us today to reserve your table for Thanksgiving so you can get the rest you deserve! If you’re interested in learning more about hosting your Thanksgiving meal at Off The Strip in Las Vegas, contact us to make your reservation or browse our pre-fixe Thanksgiving menu online!